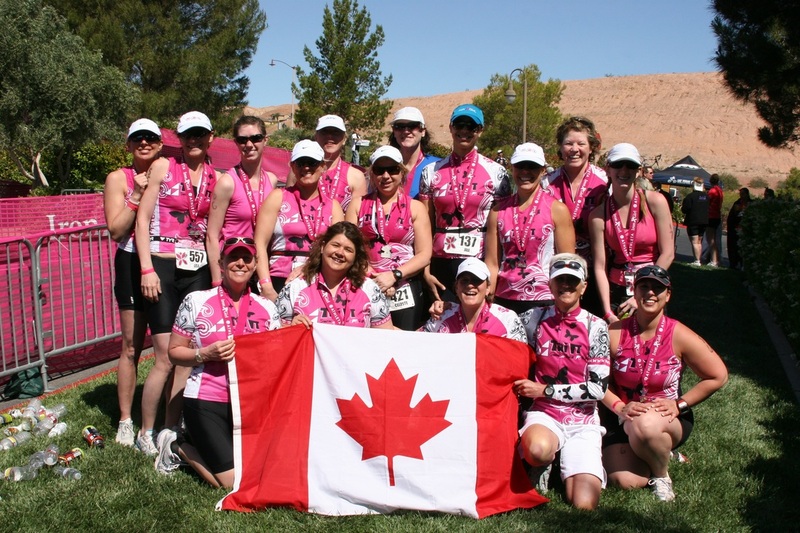 The Irongirls Training Program provides a complete training program as preparation for the Irongirls Sprint (Swim 500m, Bike 22.5km, Run 5km) and International (Swim 1500m, Bike 40km, Run 5km) races in the resort area of Lake Las Vegas in October 2013. 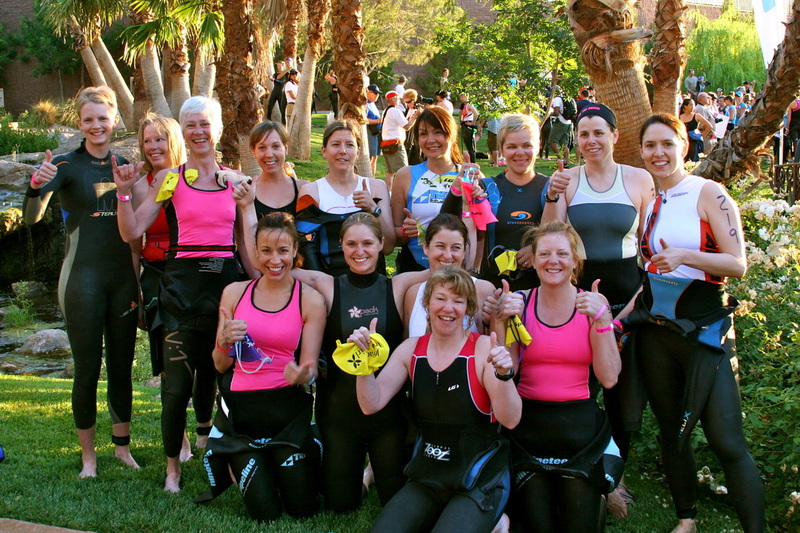 Many participants have said that this is the very best way to prepare for your first triathlon. From start to finish, you will have all your questions answered, you will be safely led thru the training, and you will feel strong and confident to race when you step up to the start line. If this particular race is not in your plans, the training program can also be used for any late season race of your choice. Coached swim workouts roughly twice monthly at Mount Royal University Pool (Friday evenings) covering some basic freestyle skills as well as open water swim techniques including mass starts, drafting, sighting etc. To start you will need a swim suit, well fitting goggles, water bottle; a bike, preferable a road or tri bike but a mountain bike or hybrid with a slick back tire will do; a good pair of runners. For the race you will also need to either borrow or rent a wetsuit. Tri-it rents wetsuits for $40 for the weekend. 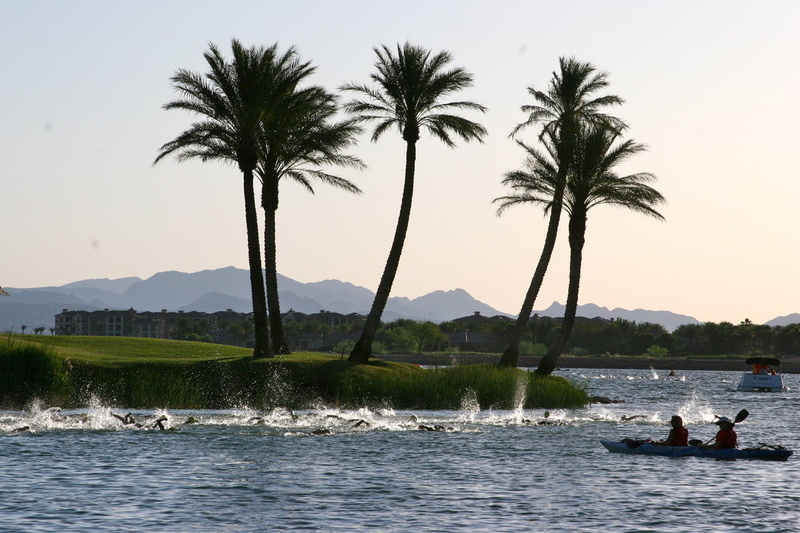 Accommodations: The group stays at the host hotel Westin Lake Las Vegas, a deluxe hotel in the beautiful Lake Las Vegas Resort, which is about 40 mins SE of Las Vegas. www.westinlakelasvegas.com. 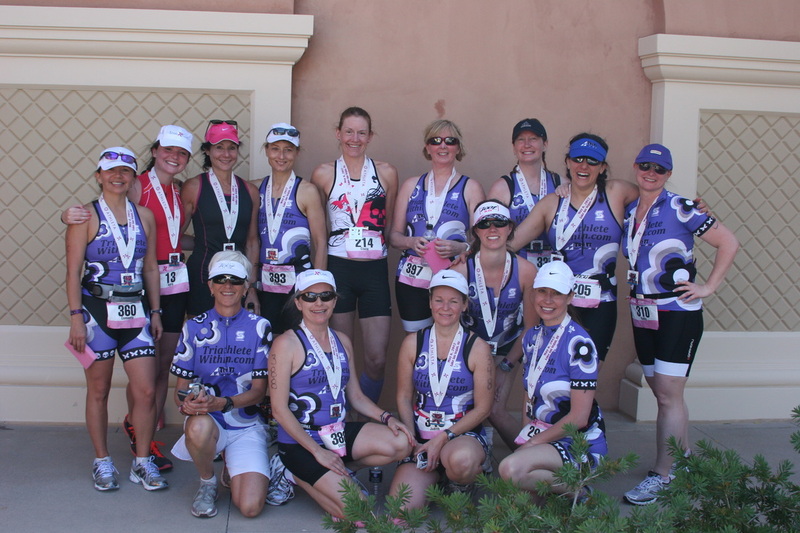 - The training was awesome…I actually completed a Triathlon, but gained so much more…confidence, strength and a new belief that my goals are attainable, and I met some amazing women along the way. - Thanks so much for introducing me to this sport and helping me navigate through starting out. - I think you're awesome! Your sessions are positive, encouraging and motivating! You make me believe I can do it! - The location was beautiful, what an amazing place to race, the bike and run courses were especially unique. Having a group to train with is also such a wonderful thing, and then getting to do the race with everyone and celebrate at the finish line was terrific. - I wish I could put into words how much I enjoyed Irongirls Las Vegas. It truly is a remarkable experience to race there and being surrounded by our group is absolutely the best feeling. Thank you for everything. You put so much into this program and I know all of us were made better athletes during your training. This race has a special place in our hearts!